There are no known cures for the common flu but there are many natural flu remedies that are highly effective at easing flu symptoms and reducing the duration of the illness. Certain herbs have been used as natural flu remedies for generations and can provide both protection from the flu and relief of symptoms. Scientific research has shown that the herb can keep immune systems healthy and strong, protecting it from common pathogens like the influenza virus. Elderberry (sambucus nigra ssp. canadensis) has been used for centuries as a tonic for colds, flu and sinus infections. While elderberry has been used for many generations as a medicinal tea, it has also recently been discovered that the botanical contains viburnic acid, a compound that encourages perspiration and aids in detoxifying body tissues. 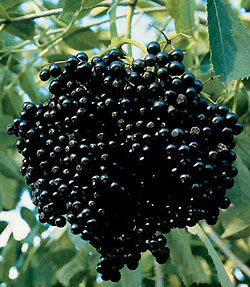 This means that elderberry can help reduce fever, purify the blood and cleanse the body’s cells of pathogens. At the first sign of flu symptoms, take a hot infused homemade tea of elderberry tincture, yarrow and peppermint right before bed to induce sweating and promote a good night’s rest. Fresh ginger root (zingiber officinale) is a warming botanical that has been used as a medicine in Asian, Indian, and Arabic herbal traditions since ancient times. Used for the treatment of digestive problems, stomach upset and nausea for more than 2,000 years, ginger has long been a popular natural remedy for a variety of ailments. A powerful anti-inflammatory, ginger has also been widely used for generations to help treat the common cold, flu-like symptoms, headaches and painful menstrual periods. A great herbal tea can be made for those trying to recover from a cold or flu by simmering a couple of cinnamon sticks and sliced fresh ginger in water for at least 20 minutes. 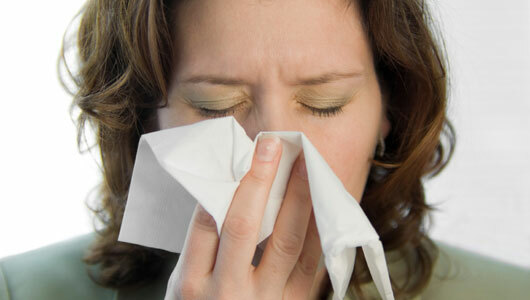 It can also be taken in high-dose supplement form to aid the immune system in warding off and killing the flu virus. Andrographis (andrographis paniculata) is used in Ayurvedic medicine and is considered part of Hindu folk medicine that originated in India. Traditionally used to treat upper respiratory infections and sinusitis, andrographis was shown in a recent study to reduce the symptoms of coughs, sore throats, headache and fever. 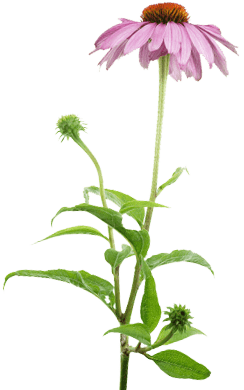 The herb boneset (eupatorium perfoliatum) is an immune stimulant that has a long history of being used effectively in cases of influenza and fever. The herb’s common name of boneset was derived from its ability to break the terrible fevers associated with the flu. These fevers were so severe that they were described as bone fever. Native Americans also used boneset to treat body aches and pains and for healing broken bones. A great antiviral whose strong bitter taste helps dry out mucous and stimulate digestion of toxins, boneset has been said by many herbalists to be one of the best choices for herbal treatment of flu. The recommended way to take boneset internally for fevers is as a warm infusion or tea. Drink 4 to 5 cups of the tea while in bed to induce sweating. Questions? Come in for a complimentary consultation and find out what we can do to increase your health and well-being!